Cordaid (cordaid.org) and Tech Care for All (tc4a.com) have today announced a new partnership to improve health outcomes across sub-Saharan Africa using innovative digital health technologies. The organizations share the belief that digital technologies can sustainably and dramatically improve healthcare for people in the most fragile countries of our world. This shared conviction motivated the decision to join forces in analyzing the most urgent needs and in jointly implementing programs to improve healthcare in up to five focus countries. Both leaders agreed that digital health has huge potential to transform healthcare and increase health equity. 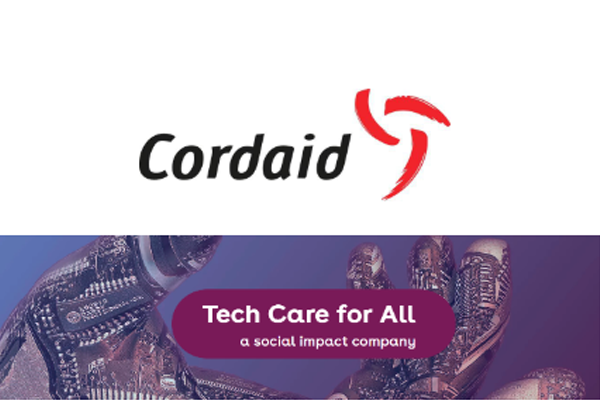 Cordaid and Tech Care for All will communicate further details about the partnership as they are finalized. Tech Care for All is a digital health company that operates in Asia and Africa, where new health technologies can truly transform lives and health outcomes. Tech Care for All has a broad and growing portfolio of products, along the entire patient journey, from prevention to treatment monitoring.